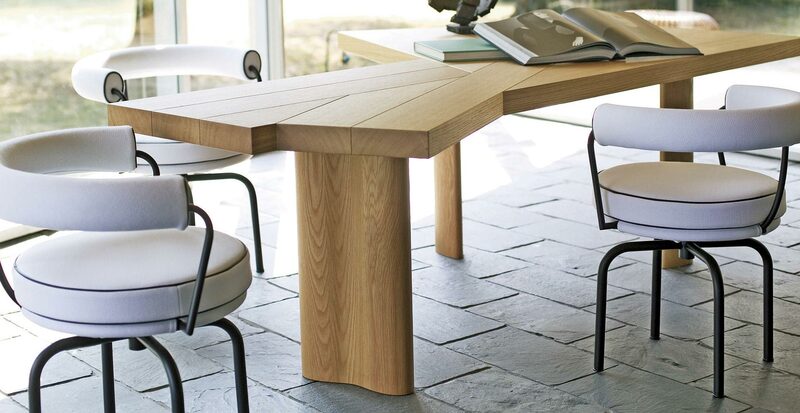 Table in natural or black stained oak. 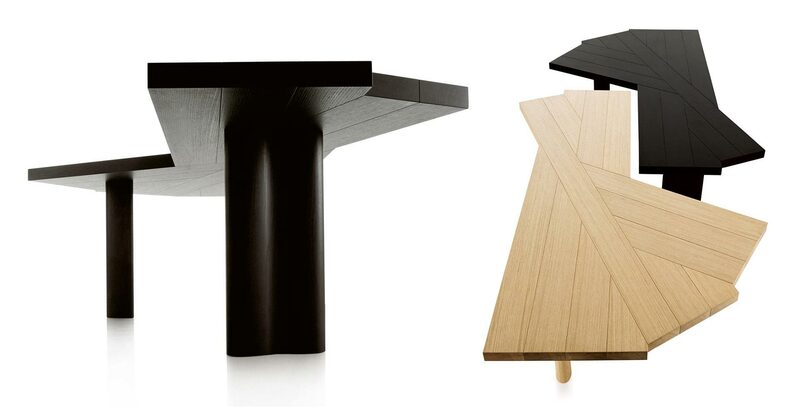 The table top is composed of fourteen staves; the base has three legs. The special configuration of the top and the leg placement allow dynamic and flexible table usage, also by a greater number of persons with respect to a traditional configuration.